Compact and just the right size for carrying in a front pocket, the Men’s Flat Wallet is essential for the man on the go. It features textured burnt sienna faux leather with contrasting cream stitching and debossed logo. 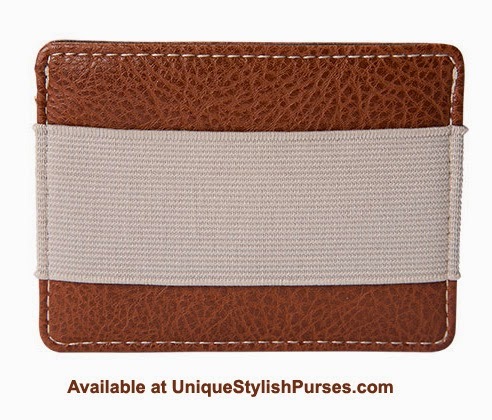 On the exterior, pale grey elastic banding holds bills and there are two credit card slots. Open interior is perfect for loose change or receipts.Dimensions: 4" long x 3" wide.